In the event of any accident, we will fight for you! Getting Results For Our Clients! If you were hurt – or someone you love has been injured or killed – in a car accident, our personal injury lawyers can help you. If the other driver was at fault, you may have the right to compensation for your financial and personal losses due to the accident. It’s important to get medical attention right away for injuries, but legal guidance is also essential as soon as possible. Statistics show that accident victims, who are represented by a lawyer, receive more compensation paid to individuals than without legal assistance. 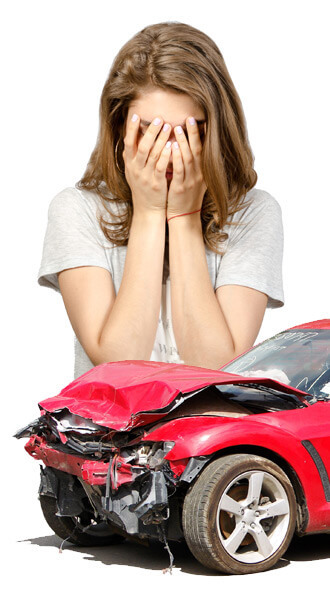 After a serious car accident, there are a number of critical issues that must be resolved. Who will pay your medical bills? Can you expect to be compensated for your lost wages, a totaled vehicle, the cost of replacement transportation, and the long-term effect of the collision on your life? In a perfect world, your case would be resolved easily, quickly, and fairly. Unfortunately, it can be extremely difficult to get justice and fair compensation for all of the losses you experienced, that’s where we come in. Medical bills related to physicians, surgeons, anesthesiologists, hospital costs, etc. Alternate transportation (rental car, public transit costs). When an accident involves the death of a family member or loved one, we are there to help grieving families understand their rights, handle all their legal concerns and address any future issues. Please contact us to learn more about protecting your best interests.